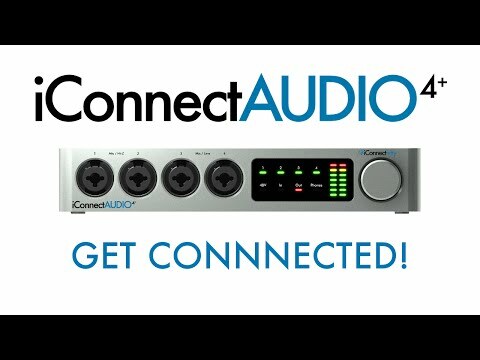 With the demand from modern musicians now using mobile devices, tablets and portable studios, yet has there been an all-in-one-USB solution ..
With the demand from modern musicians now using mobile devices, tablets and portable studios, yet has there been an all-in-one-USB solution to handle multiple devices and connect it all seamlessly. Until now! 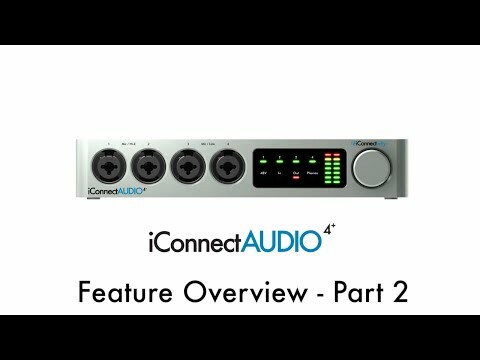 The iConnect Audio4+ is the ultimate hub for your portable or home studio, with a wide range of connection types and studio-grade audio processing. 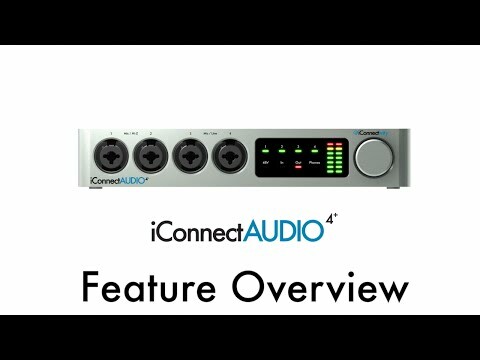 The iConnectivity iConnect Audio 4+ is a USB Audio Interface with a difference - it is the world's first interface that supports multiple iOS/PC/Mac systems simultaneously. Serving as a USB hub to interconnect your Mac, Windows and iOS devices, the Audio4+ is the perfect soundcard for the demanding musicians with multiple instruments, microphones and synths. On the front panel, the 4 Combi XLR/1/4" Jack inputs offer versatile connection options, passing high-grade audio from your studio microphone, guitars or synths to your DAW. The premium preamps on the iConnect Audio4+ feature +48v Phantom Power, for use with almost any studio condenser mic. Make your iPad a touch-controlled plug-in in your DAW. Send dozens of MIDI and digital audio channels back and forth between two computers. Or run and record your entire studio from your iOS/PC/Mac by itself. It all becomes one integrated music machine.